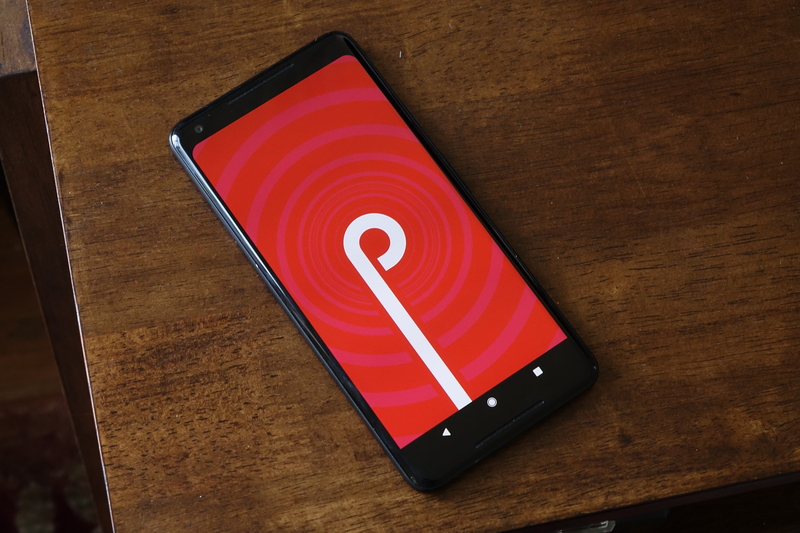 Android P is the latest iteration of Google’s mobile operating system, and it’s been available to test as a Developer Preview on the company’s Pixel phones for about a month now. I flashed the preview on my Pixel 2 XL a few weeks ago and have been using the phone as my daily driver since. Overall, this is easily the most polished day-one build Google has released. 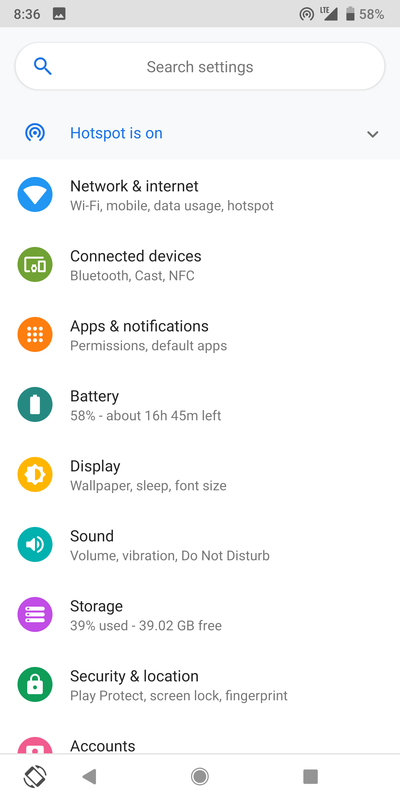 I’m not having any battery drain issues, annoying app crashes, or random reboots. The P preview is, dare I say, very usable. Still, flashing an early preview to your personal phone generally isn’t advisable. They’re buggy, unstable, and often break third-party apps. And, it’s true: the first P preview has its problems. Some apps, like Lyft, just don’t work for me (requesting a ride just displays a loading interface indefinitely). Bluetooth, as it has been on every Android developer preview I’ve ever used, is exceptionally buggy at times. And there are occasional graphical glitches that I’ve never had using release-grade software on my Pixel 2 XL. None of these issues render my phone unusable, but they’re annoying enough that I still don’t recommend most people run the preview software. I have a drawer full of phones I can fall back on should I encounter a truly experience-breaking bug - most people don’t have that luxury. 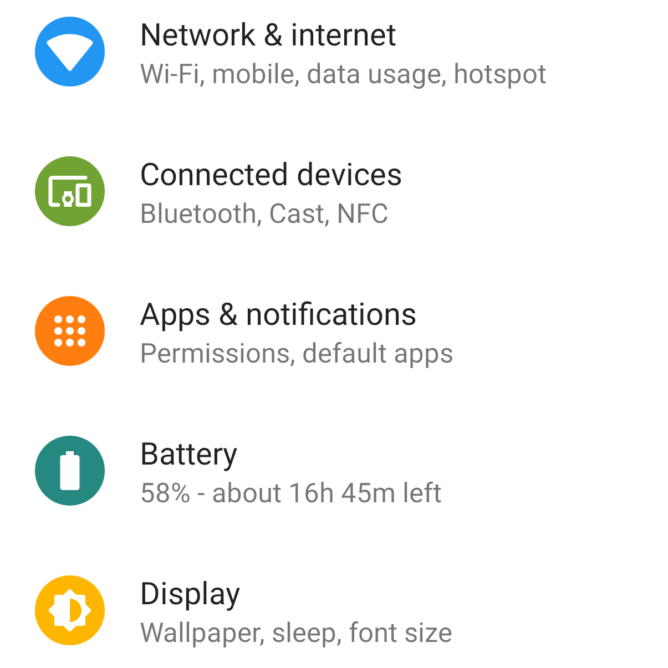 So, for the curious but not-quite-ready-to-flash, or just for those without a Google device to try Android P on, I thought I’d give an overview of my thoughts on the new OS so far. As with essentially every major Android release, Google has restyled much of Android’s interface. Many people don’t like this, and simply for the fact that it can feel like change for change’s sake. Settings is looking rather... colorful these days. The most divisive aspect of P’s new aesthetic is the heavy usage of white in areas like the settings app, which also now sports some rather colorful icon accents. Google has attempted to introduce a more responsive interface, though, continuing its efforts to provide basic dark and light theming depending on the device’s current wallpaper. A light wallpaper will color elements like the quick settings toggles, app drawer, and volume interface in white and light-gray shades. A dark one will cause the system to switch those elements for very dark grays. In theory, this is a good idea. In practice, we run into the issue of things like notification cards, the Google Feed pane, and settings app all heavily utilizing white and light gray. This produces intense visual clashing. As much as I’d like to use the darker interface - especially at night - the searing white contrast of the white notification cards against the dark quick settings area is something I find difficult to put up with in practice. ... in practice, it's often clash central. I have a feeling Google understands this is a problem. Given that Android has slowly inched toward having something resembling a theming framework over the years, I think we are finally seeing Google attempt to develop a cosmetically responsive operating system. As to a user-facing theme engine, I think I can safely tell you to keep dreaming - I really doubt that’s happening in Android P, or probably ever. I don’t think we’ll see Google’s ideas around responsive system theming really fleshed out until the third-generation Pixel phones launch later this year, though. That’s because for whatever work the Android team is doing around responsive theming, it’s the Pixel software team that will have to dig in to all of the various core applications and services on those new phones to produce a more system-wide feel to it. Ideally, this would also involve working with various Google product teams - Gmail, Maps, Search, Photos, Play Store, and others - to develop dark themes for their applications. Whether such an initiative could be substantially completed by the time the Pixel 3 launches, I don’t know. Google’s product teams are notorious for their wildly varying lag time in terms of adopting new features and supporting new hardware. 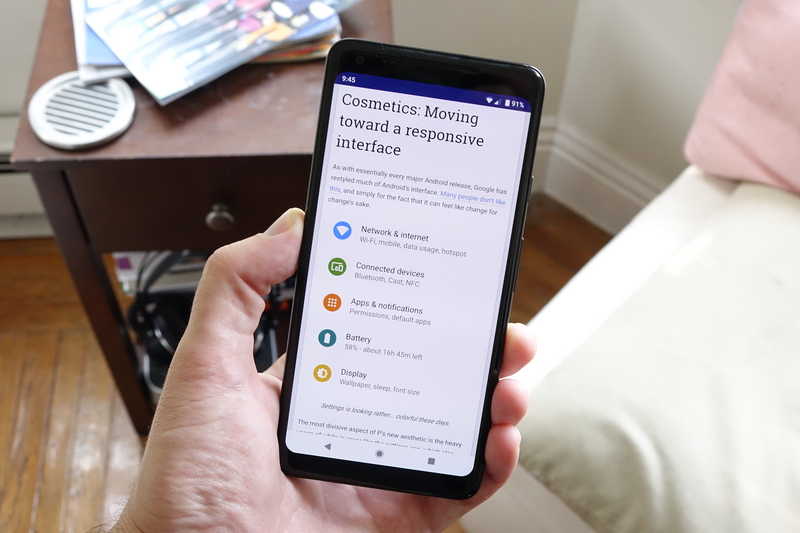 But I think the writing is on the wall: Android P expands responsive theming, and it seems a given that this effort will eventually expand beyond OS elements and into other device applications. Maybe, one day, even to third party apps. Hopefully dark notification cards, a dark settings app, and a dark version of the feed are things we’ll see in upcoming previews. Because as is, the lack of consistency is a bit of an eyesore. It is a preview, though - it is by definition unfinished. So, for everyone moaning about the excessive use of white, maybe wait until the preview is over to pass judgment. 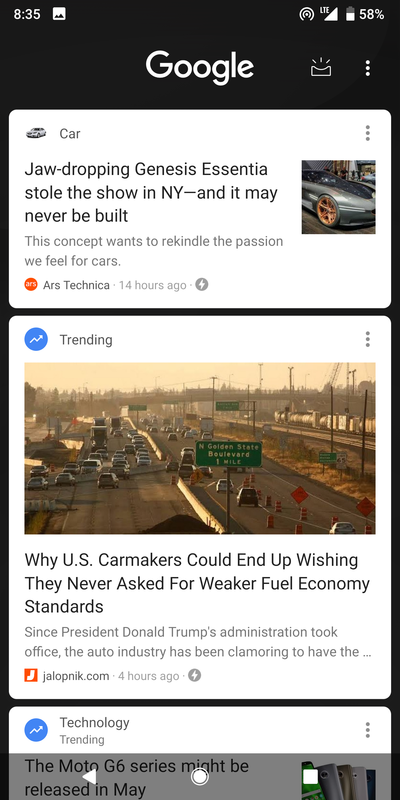 Google is clearly working on responding to the demand for a dark interface. Hopefully much of that work is completed in this Android release, not the next one. Smart auto-rotate takes the pain out of auto-rotate. Smart auto-rotate is hands-down one of my favorite changes. 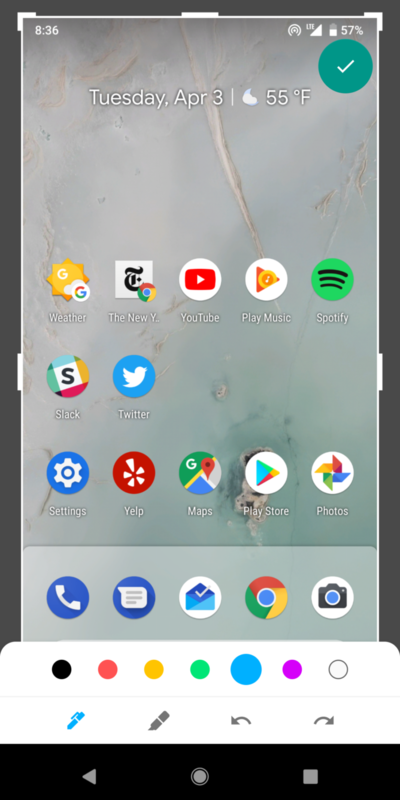 When auto-rotate is turned off in Android P, if you rotate the phone from portrait to landscape, a small icon appears in the navigation bar to rotate the phone into landscape manually, should you want to do that. 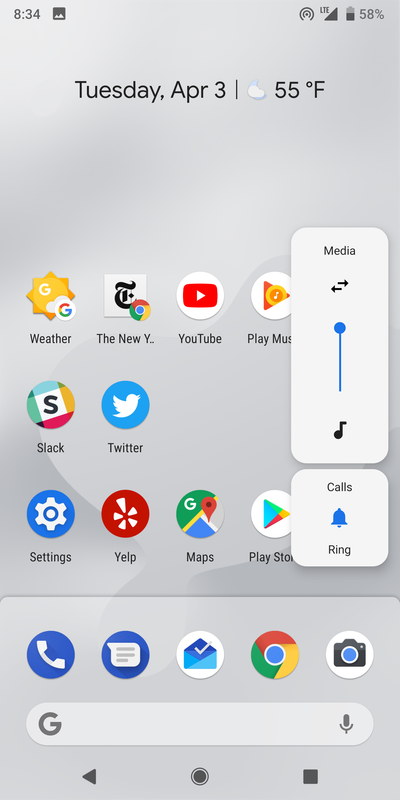 Given that auto-rotation occurs, in my completely unscientific experience, about half the time by accident, I’d far rather explicitly tell my phone when I want it to rotate, on-demand. No more accidentally rotating the news article I’m reading in bed! A native screenshot editor should have been a thing years ago. There’s a native screenshot editor - long overdue, frankly - that makes marking up and cropping your screenshots a snap (quite handy for our work here at AP). 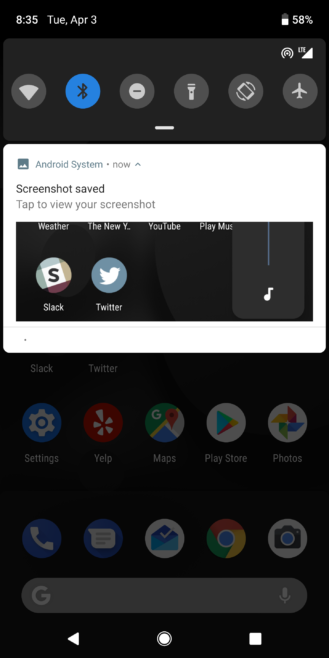 Notifications are getting even more control with the addition of a recent senders menu in the notification settings, allowing you to see which app sent a notification and when. 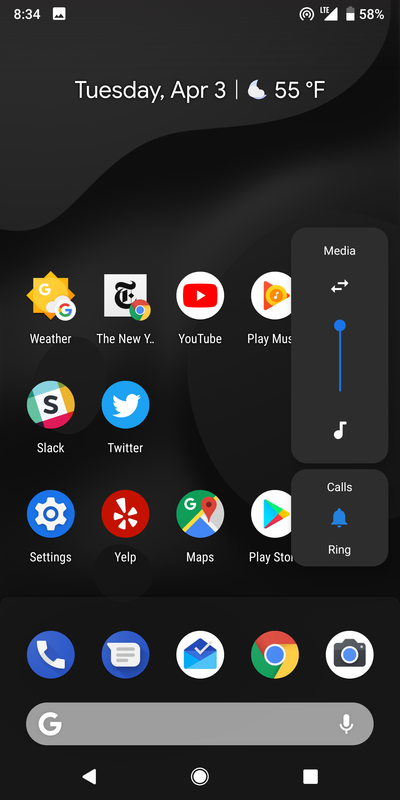 Android will also now offer to hide notifications from apps that you frequently dismiss, though I could see this behavior getting tweaked in the future - there are plenty of apps for which I regularly dismiss notifications but still want them, and that red dot is rather ugly. Notifications themselves are becoming more powerful, too, with smart replies that can be associated with text, emoji, and graphics to make responding to your messages easier still. Notifications remain a core part of the phone experience, and one where Android unabashedly shines compared to iOS. They’re a huge part of my preference for the Android platform overall. Google has consistently made improving them a focus in recent years - as with notification channels in Oreo - and I think it’s still somewhere they’re miles ahead of the competition. There are quite a few changes documented with Android P, and our continuously-updated list is the best place to find the most notable ones. I’ve not even commented on all the changes I’m liking so far - the new volume control interface, the power-menu screenshot button, and alarm quick settings toggle are smaller tweaks that I’m starting to like having around. At I/O, we’ll see the next wave of announcements for the platform and, probably of more interest, for Google’s various products like Assistant, Search, and Home. Often, these products leverage new APIs and capabilities inside Android to enable new functions and features, so it’s possible we really haven’t even seen some of the cooler things Google has planned for Android P just yet (such as, perhaps, the mysterious Slices API). So, should I flash it? At this point, the next developer preview for Android P will be out around the time of Google I/O in early May. That release will be the first “beta” candidate, which should mean improved stability and fewer bugs. If you’re wanting to play it real safe, previews four and five will be “release candidates” for official testing, at which point the number of bugs should be pretty minimal, and serious bugs essentially squashed. Don’t get me wrong: this first preview is the most polished alpha build of Android Google’s ever publicly released, at least in my subjective experience. I continue to use it without major issues every day. My battery life is just as good as it was on Oreo, and perhaps slightly better under heavy usage. Serious Bluetooth bugs seem to have settled out in the last week or so, though I’m hesitant to make any assurances there - they could come back at any moment. Using P won’t completely change the way you feel about your phone, mind you. The new features that are already exposed are nice, but basically none of the new APIs are being leveraged by third-party apps. And most won’t be until Google finalizes those APIs and releases the official SDK in June. The uptake on some Android features is also pretty slow; Oreo’s notification channels, for example, are still far from ubiquitously supported. But I would say things in even this regard are far better than they were in years past. Google is becoming much more effective in communicating with developers about the need to target the newest version of the platform, and is now actively discouraging developers who avoid updating their applications to do so (I’m looking at you, Snapchat). So, no, I wouldn’t say you’re missing out by not flashing the P preview, at least at this point. The alpha builds are more a glimpse into the future of Android, and things in the preview still may change. Plus, there’s a real chance that you might use an app on your phone that won’t be compatible with P at this point, and then you’ll have to flash back to Oreo. That’s a real pain. Even for adventurous testers, I’d advise at least waiting for the beta. This alpha release is good, but I won’t even try an in-place upgrade to the beta when it comes out next month - I’ll just wipe clean to avoid any possible issues a factory reset could avoid. Basically, if you’re not comfortable factory resetting your phone on a regular basis (i.e., it takes you many hours to get yourself set back up), alpha builds probably aren’t for you. Even the beta could still have significant third-party application compatibility issues. And until developers have those final APIs and SDK, there’s not a lot of incentive for them to fix bugs with an upcoming release when things could just change again. My overall assessment of Android P is a positive one, though. Android continues to mature as a platform and add meaningful new features - and I don’t think it’s getting replaced any time soon.